Many temporary immigration categories allow foreign nationals to work in the United States. A person from a foreign country generally needs to have a specific employment offer from a U.S. employer or sponsor. Generic work visas are not available for those who want to come to the United States to look for work. The usual procedure is for a foreign national to present a petition filed by a U.S. employer at a consulate outside of the United States to obtain a work visa. A foreign national who is already in the United States may be able to change their status to an employment-based category with appropriate support from an employer. H visas are given to foreign nationals who plan to work in the U.S. for a specified period of time. Each type of H visa has specific criteria for qualification and specific temporary position classifications. 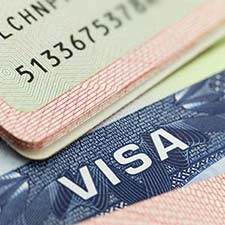 The information below provides brief explanations of each type of H visa. Please follow the links if you need more detailed information. The U.S. Citizenship and Immigration Services (USCIS) determines whether foreign nationals may live and work in the United States for extended periods of time. The USCIS also issues visas to those foreign nationals who meet certain criteria for work or residence. 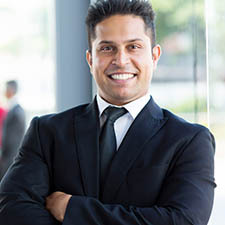 Visas in the L series are often the most sought-after, as they are issued by the USCIS to allow foreigners to live and work in the United States for extended periods of time. Please follow the links below for more information on each type of L visa. EB-1: First Employment-based Preference for Priority Workers. EB-2: Second Employment-Based preference for Professionals Holding an Advanced Degree and Persons with Exceptional Abilities. EB-3: Third Employment-Based Preference which includes Skilled Workers, Professionals Holding Baccalaureate Degrees and Other Workers. EB-5: Fifth Employment-Based Preference for the Immigrant Investor Program. This is a program for individuals who can improve the U.S. economy through job creation and investment. O-1A: For excellence shown in the sciences, education, business, or athletics. O-1B: For excellence shown in film or television. O-2: For an individual who must accompany someone who has an O-1 visa. In order for a person to be issued an O-2 visa, he or she must be needed by a person with an O-1 visa to accomplish a specific task. The person with the O-2 visa must possess skills or knowledge that the foreigner with an O-1 cannot find in the United States or the person with the O-1 visa would not be able to perform his or her task without the help of the person with the O-2 visa. O-3: For a spouse or child of person with an O-1 or O-2 visa. TN visas are available to individuals from Mexico or Canada who move to the United States to perform professional services. Most of these individuals work in certain professions and possess specific qualifications and credentials that are needed to meet requirements for the professional fields listed on Schedule 2 of NAFTA. More information about requirements for a TN visa are available by following the link below. Please contact one of our attorneys if you are an employer or an individual who needs any type of work visa. 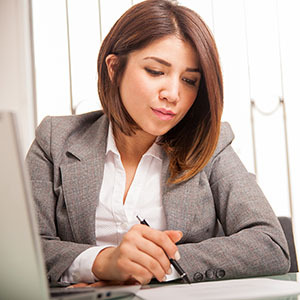 Our immigration attorneys have much experience managing worker visa applications. We are confident that we can successfully manage your case so that you receive the best results possible. We provide an initial consultation to help you understand your best options. If would like to discuss your eligibility, call our office or send us an online message today.